We learnt about Flume in previous post. 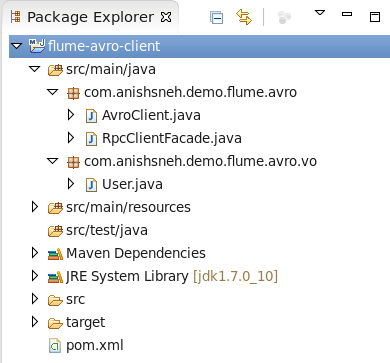 We will setup and run Flume agent with Avro source and a Java based client here. For agent installation we will use one the three nodes setup earlier for agent JVM and all three HDFS nodes for sink (as setup described in earlier post ). We will see lots of log statements will keep on scrolling. 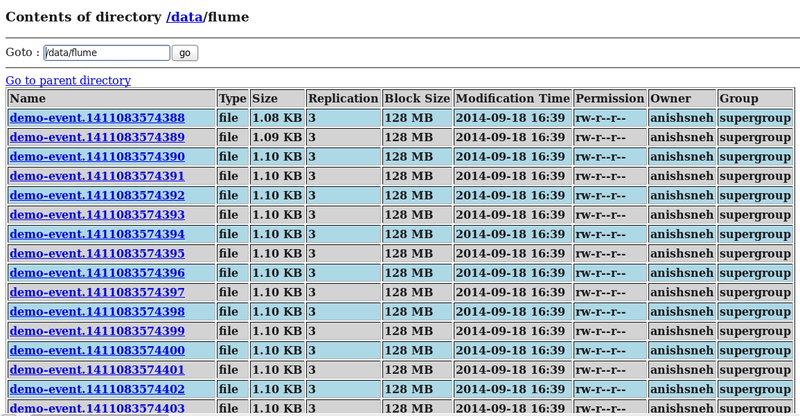 These are default log statements of agent. Congratulations our Flume Agent is up and running (with AVRO source and HDFS sink as configured).